The Dunlop D402 rear Motorcycle tire is the perfect street bike tire for that long trip. Great reliability from a name you can trust in motorcycle tire manufacturing for optimium performance and wear that riders demand in a motorcycle tire. The Dunlop D402 rear motorcycle tire is the perfect companion to the Dunlop D402 front motorcycle tire. 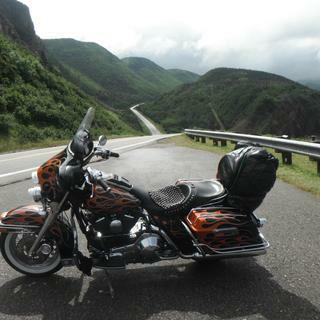 The D402 is the only tire approved by Harley-Davidson® for its touring bikes. The Dunlop Harley-Davidson® Tire Series D402 is available in front and rear blackwall, single white bar, or wide white sidewall, all with an H speed rating. Wider MU85B16 rear tire is available in black, slim white sidewall and wide white sidewall, and is load-rated up to 908 pounds. Good tire for general use. Weak traction when breaking. Skids easy when brakes lock and you have zero traction or control. find an option with more rubber on the road. 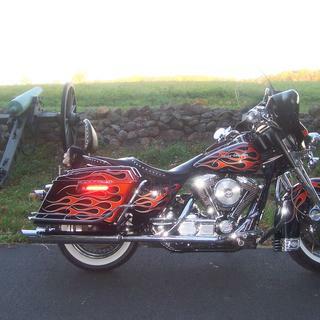 A great looking tire recommended by Harley Davidson for my 2002 Harley Davidson Heritage Springer. 2002 Harley Heritage Springer New Dunlop D402 whitewall tires from Rocky Mountain ATV. Was ok but went to Michelin lasted 4000 mules longer. These are classic Harley Davidson tires at a great price and they came with a rebate! I would definitely recommend this tire to anyone looking for a stock HD tire. These are the only brand tires that I use for all of my Harley's. They have more than proven themselves over the years no matter what the weather, highway conditions or my gravel roads throw at me they get excellent traction, they handle fantastic & the tread life is great for all the miles I put on them. Great tires! I run the Wide White walls on my 2000 Utra Classic, and they look at perform well. As always, it would nice if they lasted longer, but it's all good! A really good buy on tires! Delivered a day early! Tire was installed and balanced out perfectly!!!! 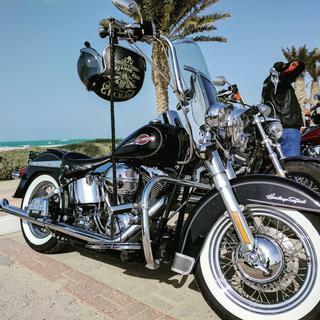 Great tire overall, preforms well on my softail! I tried it, didn't like it. Always felt like it was slipping when riding aggressively, heck it slipped everyday turning left at the end of the road heading home from work. The tire arrived very quickly and was a perfect match I would recommend this supplier. Best tire manufacturer recommend and original equipment tire. Strong sidewalks unlike other manufacturers . I am a expert level HD wrench. I would not recommend any other tires, I am not pro Dunlap, but I have run other tires and a flat at 60 isn't fun with weak sidewalks! Also always run matching tires front and rear. 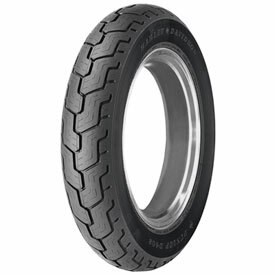 I've been using this tire and purchasing from this site for about 5 years. I've priced around and find this site to be the best buy. I've ridden in all types of weather and this tire so far handles it all. I ride 18,000 to 20,000 miles a years. I've tried different high end tires, but always come back to the D-402. It has a very stiff side wall for safety purposes. I've never had a traction issue,whether in dirt or rain. Great so far year later. Can't beat the price or the shipping speed. manufacture dates are very current. No dusty shelf stored tires from here so far. I order tires and oil from Rocky Mt. every year. I'm always happy with the products and service. Super fast shipping and a great tire for a reasonably low price. Had a good ride with the front and rear I purchased. Got 17000km from the rear, was surprised at that. Not hard riding more long rides, 500km to 5500km. A lot two-up with gear. Kept its shape well, just flattened out later in its life. Stuck well to the road. Happy. Good tire with fresh date stamp. Delivery was on time and exact. Some guys complain about the tire not lasting a long time, I get about 10k out of these on my RKC. Fact is if a tire lasts longer the rubber is harder meaning it does not stick to the road as well in most cases. These tires look great, have a great load rating and have a solid company behind them. 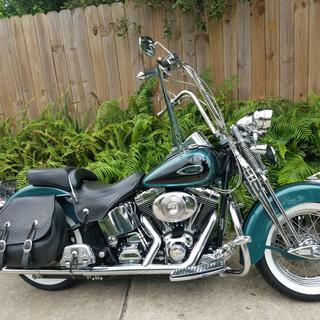 Id rather stick to the road than cheap out trying to get a few thousand miles more out of another brand, after all my bike only has two tires, And its a classic meaning it is supposed to have the old looking wide white walls. Ill stick with what looks good and keeps me planted to the road. I suppose if I wanted to be cheap I would ride another brand of motorcycle perhaps one that does not weigh 800 pounds, but as they say good stuff isnt cheap, and cheap stuff isnt good. 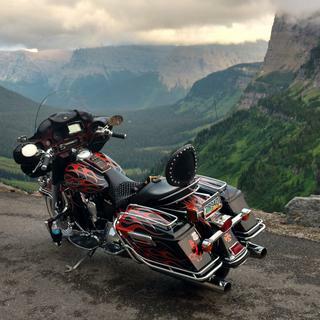 Avon or Metz on the front of my Streetglide for better handling. Great product at a great price. Love the wide white wall tire, adds an old school look to my Road King Custom. Tire handles awsome. I only get 5,000 miles on the D402 www. I am far from a aggressive driver.and I am not heavy on the down shifting. At 5k it is down to the center. Great tire, been getting 10,000+ miles on the rear with a bagger. Tire's tire's everywere but for your money the dunlop 402 is by far the best for value and money , good looks ,good handling ,& good wear ya just cant go wrong with this tire! This is the exact same tire we order from the shop at a much lower price. Tire delivered when promised and in perfect condition. Will not hesitate to order from you again. Tyre was priced right...service was great. Jake Wilson.com still knows that the customer is first in "customer service." best price and hassle free shipping! Just ordered the front tire to match the rear. had never bought tires online so i was leary. It was no problem, and tire ia great. Cant wait for the front tire! Like how at Jake Wilson they have easy acess to order online. Easy to get to. RM has excellent products at excellent prices, and you can't beat free shipping! I've had a lot of tires on my '05 FLHTCUI but I keep going back to the OEM tire. This is the second one I bought at this site and I'll never go anywhere else. You won't find a cheaper price anywhere and no shipping costs!!! difference for the front and rear tires? Power -The rear tire has a flatter profile, to provide the majority of the acceleration and stability for your bike, and wouldn’t handle as well if put on the front. Weight -The rear tire carries the majority of the weight of the bike, calling for special design elements to keep you upright & safe at all times. Lean -Since the rear tire does not turn, it is subject to the lean of the motorcycle. This requires a sturdier tire with a flatter profile to accommodate this requirement. Turning-The most obvious function of the front tire is turning right & left. A front tire is more triangular shaped for better handling. You would notice this if you were to try to put a rear tire on the front, as they aren’t shaped for turning and you’d have a hard time turning your bike properly. Tread -Because the front tire’s main purpose is braking, the tread isn’t going to be as thick. This would become very obvious if you were to run a front tire on the rear of your motorcycle. You would notice that the tread would wear down very quickly due to the thinner tread on a front-specific tire. The rear tire carries more weight of the motorcycle and passengers, also keeps traction when turning since the rear of the motorcycle doesn't turn the tire is wider and stiffer for straction then the front. Tread & Weight ....2 different Animals always put a Back on back & a Front on front .! Also if you put a front on a back u will fail inspection ! Designed different ! 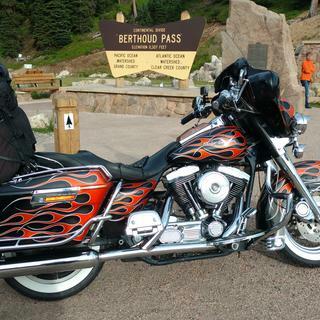 on my bike, 2001 Harley Dyna Wide Glide, the rear is a wide 130 width, as where the front is only about 90mm wide. That would be one reason. Do you have tire whit HD logo on it.? I believe the tires with the H-D logo are only available from the H-D dealers.